Flexibility is the key to creating good floodlighting. 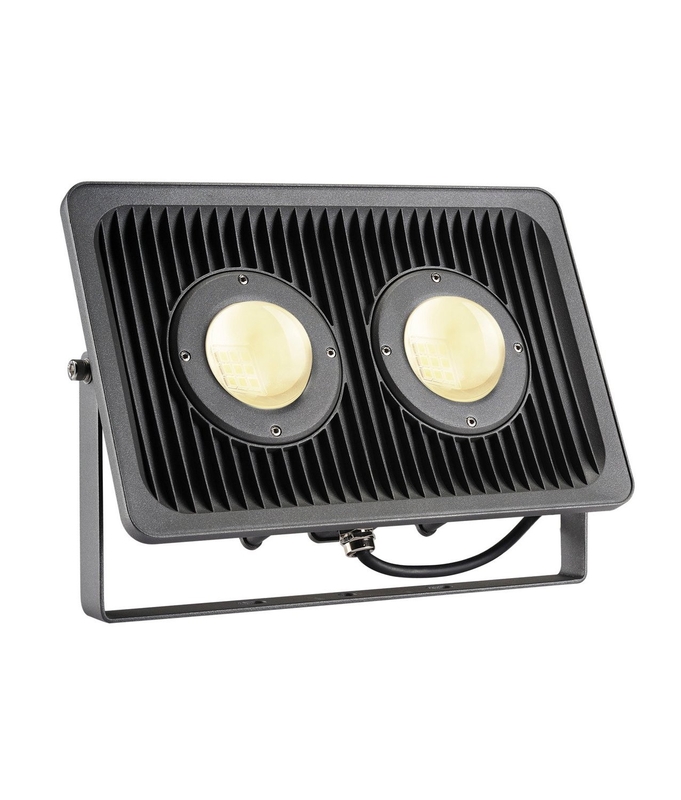 This floodlight comes in two sizes, with a choice of LED colour. The 41w option gives up to 3900 lumens - giving the light output of a 250w halogen lamp. The 79w option gives up to 7950 lumens - giving the light output of a 500w halogen lamp. The light output and size make this suitable for professional use. All give the choice of neutral white (4000°k) or warm white (3000°k) LED colours. Neautral white light works well on white, grey or silver objects. White light works best on warmer colours i.e. brick or stone. All of these floodlights can be permanently fixed to a solid base in the ground. The mini and midi floodlights can also be used on a ground spike (two are required for the midi size) so they can be moved as required. 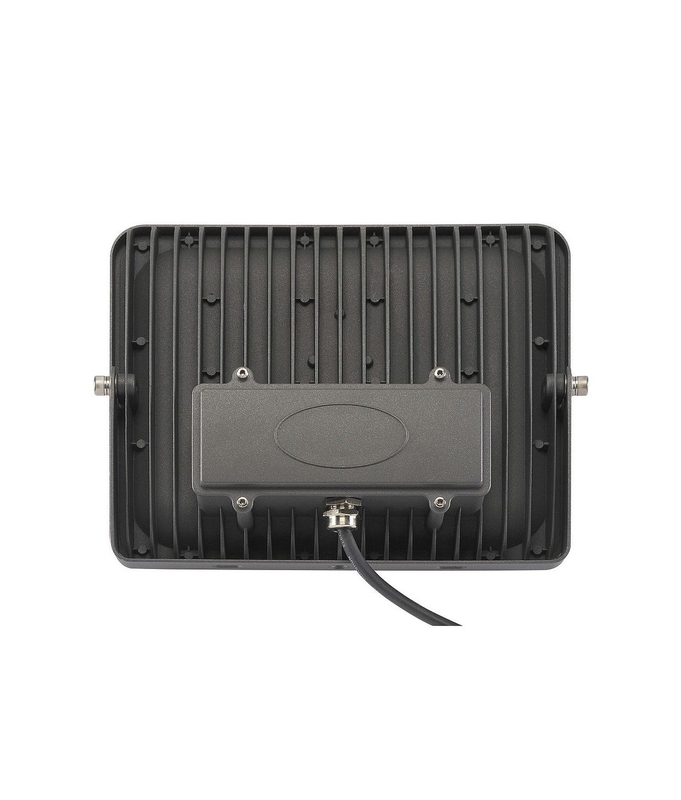 Premium 41w LED Floodlight: 310mm wide, 240mm high, 115mm deep. 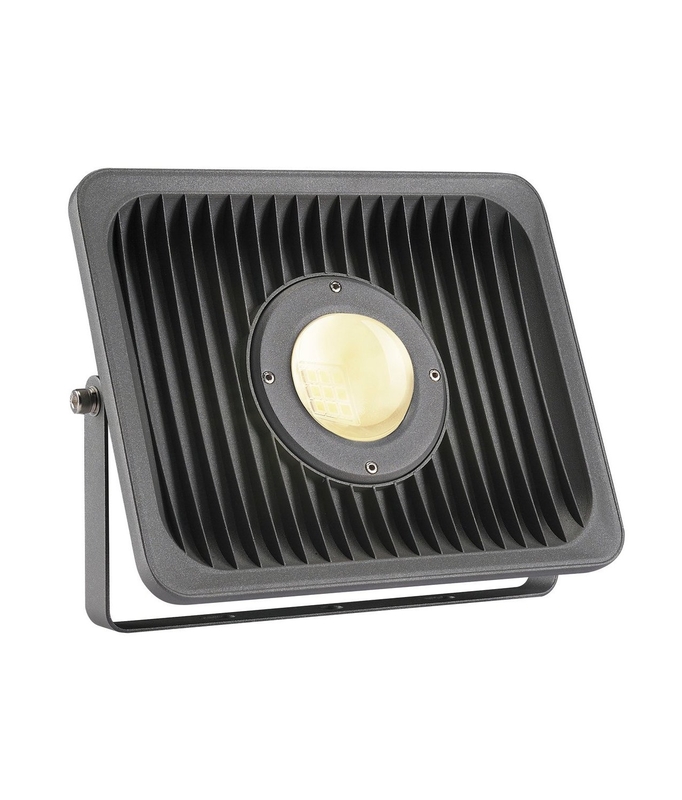 Premium 79w LED Floodlight: 380mm wide, 240mm high, 115mm deep. If you require our assistance in your lighting design either call or drop us a line via our customer service page.